Новости индустрии → admin → ERTEL is proudly informing you about launching a new innovative specialized project named "SKISOFT"
ERTEL is proudly informing you about launching a new innovative specialized project named "SKISOFT", as well as putting on sale a series of specialized hardware and software products for automation of mountain resorts of any level of complexity. 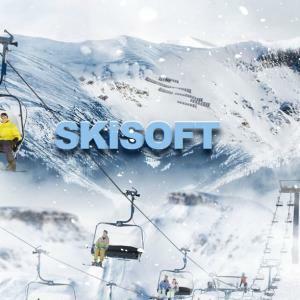 "SKISOFT" is a new independent full-fledged division of ERTEL that has been created with the express purpose of developing products for automation of skiing industry. ERTEL quickly responds to the requirements of the growing skiing market and its major clients, and, in order to improve the quality of its services, the company is forming a team of experts for developing this direction of sports industry. Our mission is to improve the standards and increase the attractiveness of Russian mountain resorts by virtue of implementing integrated automatic management systems. Our goal is to attract as much as possible attention to our design and software solutions and get across to every client the benefits of working with a highly specialized company. We are offering our unique software and hardware complex and a line of professional "Park Style" equipment for automation of mountain resorts, which were developed and upgraded by the experts of ERTEL on the basis of their unique expertise in automating sports facilities all across Russia and the CIS. Considering the unprecedented progress of automation systems around the globe and the growing need for optimizing the operation of any sports facilities, we are constantly working on developing new innovative solutions, expand the set of features of our system, and upgrade the existing equipment, based on our vast experience of operation, as well as the requirements and feedback from our steady clients. Running a research and development division of our own, we have a great opportunity for implementing the most exacting requirements of our customers, proposing unique and unconventional solutions in accordance with the tasks that we have, constructional features of the projects, and the specifics of our clients' type of business. We guide all of our projects through various design and implementation stages - from the initial quotation and consulting to the point of drafting the technical and project working documents, as well as subsequent supplying, installing, and launching the equipment into operation, providing all kinds of post-sales service. SKISOFT is a team of professionals prepared to handle the design tasks of just about any complexity. We are always able to find common ground with our clients, and we don't need to be explained the specifics of their tasks - we propose solutions that we implement!